Well, OK, one of my pet peeves. 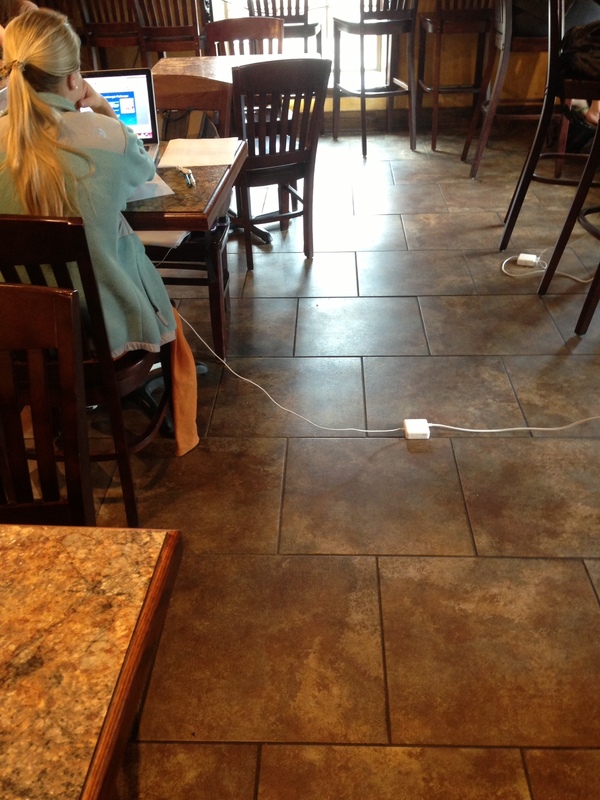 This is a common sight in coffee shops. In this case it’s at my favorite local coffee shop, Johnston Street Java in Lafayette. Why the owners/managers would tolerate such an obvious trip hazard is beyond me. Someone is going to trip over it and end up owning a coffee shop.